Secret Santa '13 is coming soon, how was Secret Santa 2012? It is almost that time of the year again. 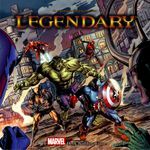 Soon the BGG Secret Santa 2013 will be announced and we can all join in one of the most awesome aspects of our BGG community. Did you join in 2012? And have your presents hit the table much since you received them? Let us know! Just add one or more items you've received from last years Secret Santa and let us know if you've played them en enjoyed them! My Secret Santa who came all the way from Brazil got me 7 Wonders and its expansions Leaders and Cities. 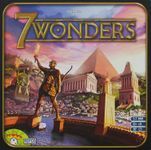 Since then 7 Wonders has been played 11 times (including plays with expansions). We've played it with 2 to 7 players and with both gamers and non-gamers. Our best experiences are probably with 3/4 players and the Cities expansion. So definitely an awesome gift! I was one of (I assume) many to receive Agricola. So far it has only been played solo. Still fun, but I'm hoping to trick my parents into playing sometime in the near future. My Secret Santa is still a mystery to me, but whomever they were, they certainly put some thought into my gift. It may have helped having comments for each item on my wishlist, but the game was definitely a hit around home. Everyone who has played it has really enjoyed the game. I'm going to be signing up for Secret Santa '13 for sure. And, I'm going to go international this year! I got The Castles of Burgundy and it's been a favorite of our group. We played it a lot, specially because my SS also gave me both expansions. I also got Saboteur which is a HUGE hit with my work buddies and we play it almost every day during our lunch break. This was my surprise present and it was very well received. Very similar in some aspects to Agricola but slightly easier to understand. Have played it a few times more than a lot of games in my collection and even ordered the expansion deck soon out. Did someone say Secret Santa? We've played the heck out of this. In fact, we just got the expansion, so in the last few weeks alone it has been on the table a ton. It's actually in pretty rough shape already, but I don't mind, as that's a result of all the fun we've had with it! Which has also hit the table a lot, and for which we also purchased an expansion. These are most likely our two most played games of the year. Which hasn't been AS big of a hit as the other two, but really, it did't stand a chance. It has still seen a lot of play, especially with the kids of a friend of mine who we are just introducing to games. They LOVE it. While it isn't the hit that the other two were, it most definitely isn't going anywhere! I got this beauty which I've played a number of times and love. I also received Android: Netrunner which I have played a number of times and like. All in all, a splendid Secret Santa last year. I was pleased with what I sent too so happy days. plus hand-crafted Cribbage board (see followup post) plus holiday mix tape, plus game for the lil' boy. Is this EVER going to get topped? Since 12-23 the first day I played this game after receiving it I have played 6 times, which makes it tied for the most I have played any game this year (it is tied with a 5 minute filler game though so that almost shouldn't count). I have greatly enjoyed every game. On the basis of this game alone I will be certainly signing up for next year. And the kicker is also this year I also received Power Grid from Secret Santa, which has hit the table twice as well in the last year. Eight games in 9ish months certainly works for me. Ends up being something like 10% of what I played last year was from Secret Santa. 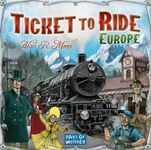 ticket to ride dice expansion was unfortunately a miss and has since been traded away. My 2012 Secret Santa was great! He first sent me Fresco: Expansion Modules 4, 5 and 6 to taunt me and a day later sent Fresco, Forbidden Island, and The Lord of the Rings: The Card Game – The Battle of Lake-town. A month later, I got a small package from Brazil with Mafia. Santa tried to maintain his secret identity, but the return address from Brazil revealed two possible candidates that could be my Secret Santa. I e-mailed a thank you message to both, the first said he was not my Santa, and the second decided that his cover was blown. 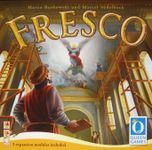 I added so many new games to my collection over the past year, so Fresco did not hit the table until two weeks ago. It was a huge hit with my family, and we've played it twice so far (my mom only wants to play a game again if she can win, and she won the first time). The second time, we added modules 1-3 from the base game, but we have still not played with modules 4-6 yet. Maybe in the next week or so? I've already rated it an '8', and it is a Top 10 game in my collection - currently #8. Forbidden Island hit the table almost immediately for one game, but is usually skipped over for Flash Point when we want to play co-op. I've given it a go many times solo, though, slowly trying to work myself up to the hardest difficulty. I rated it a '7'. The Battle of Lake-town proved to be as difficult as most people have claimed. I've only attempted it solo, but it probably took a dozen attempts before I was finally able to defeat Smaug and prevent Lake-town from burning to the ground. I'd still like to give it a go with a multi-player attempt or playing two-handed solo. Unfortunately, I haven't had a chance to get enough people together to play Mafia. It looks similar to Bang! and really needs a larger group to shine. I had someone make an offer to buy/trade for it, but turned them down because I wouldn't feel right giving away a Secret Santa gift that I haven't even played yet. As for Secret Santa 2013, I'm looking forward to participating again! Sadly, hasn't been played yet. But it's a keeper for sure. Even though money is tight (our summer cottage has been a serious money pit), I'll be participating again this year. I got this great filler. It's probably this year's most played game, after Heckmeck, which we play a lot during lunch. I purchased the expansion in February and we never play the game without it. 2012 was a fun secret santa year. I'm pretty sure that was the year my secret santa taunted me and said to make a geeklist, so I made Things I've Crowd Funded Because They are Full of Cleavage.. It was a fun geekist to make and would probably be twice as long this year (and would still probably have the same theme . . . ) And it's nice to look back at because most of the entries are things that I have definitely come out ahead on, either having a cool game or selling/trading it for good deals! And of course I ended up with Clash of Cultures, so that's a win. I won't lie, I was definitely tempted to put it up on the auction block a few times this year when it spiked in price (and rebuy it later) but I thought that might be a littttle bit out of the Secret Santa Spirit so I didn't. I just never got a time to play it very much. But I did finally play it and liked it a lot, and traded away FFG's civ game because this one is better! I look forward to playing it more. I don't remember if I taunted my target much or if he responded much. I was working a TON last holiday season and so it's all kind of a busy blur. I do remember his wishlist was a bunch of uninteresting looking stuff and Agricola at the top, so he got Agricola. Hah. It was sort of lazy and biased on my part, but who's going to complain about getting Agricola!? !